Volkswagen’s camper vans have earned status as an icon, thanks to six decades of production. 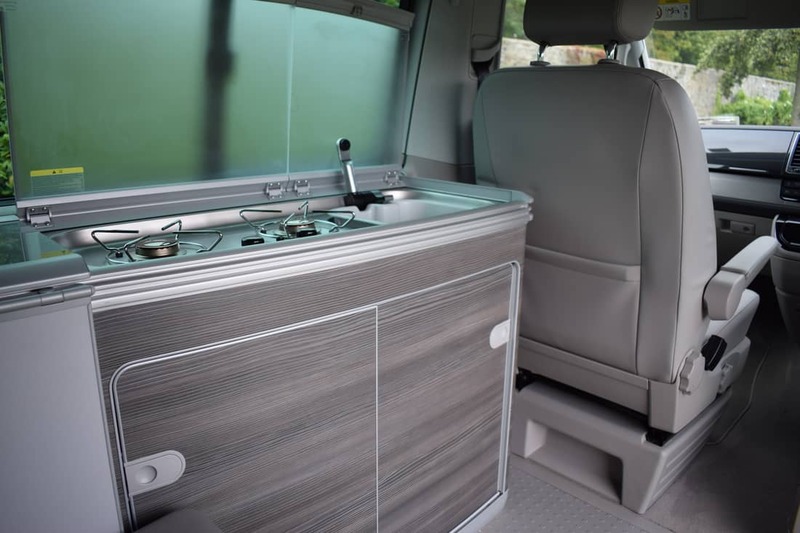 Based on the new T6 Transporter (the 2016 International Van of The Year), the new California camper van sets new standards for campers & glampers (so called Glamourous Campers) the world over. If you’re familiar with the T5 California (or indeed the Transporter), you will notice a striking familiarity about all of this. That’s because the T6 Transporter van was developed along an “if it ain’t broke, don’t fix it” policy, so Volkswagen kept all the fixed points of the chassis, most of the body panels and the external dimensions exactly the same. 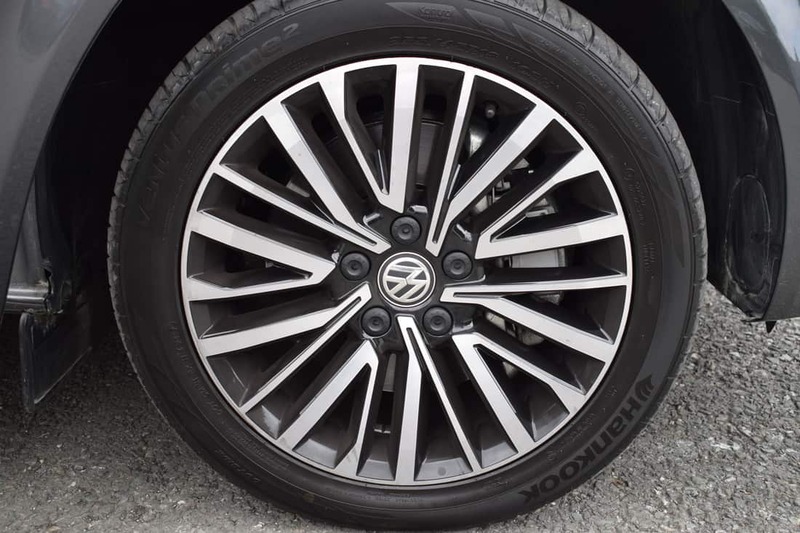 There have been tweaks to the front and rear exterior styling, but the real work went into improving overall refinement, ride quality and cabin flair, and adding more of the technology that makes Volkswagen’s passenger cars so alluring. There’s an all-new dashboard, too, that’s exclusive to the California. Volkswagen counts 6,000 changes from the T5 Transporter to the T6, all of which carry over to the California. They just happen to be mostly suspension, engine and technology improvements, most of which you can feel rather than see. 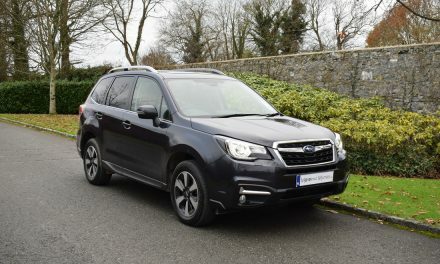 There are two variants of the California currently available in Ireland, the ‘Coast’ and the ‘Ocean’. The California’s 2.0-litre TDI engine offers particularly low fuel consumption (as little as 6.9-litres of diesel for every 100km driven on a combined driving cycle) and complies with the Euro 6 emission standard. 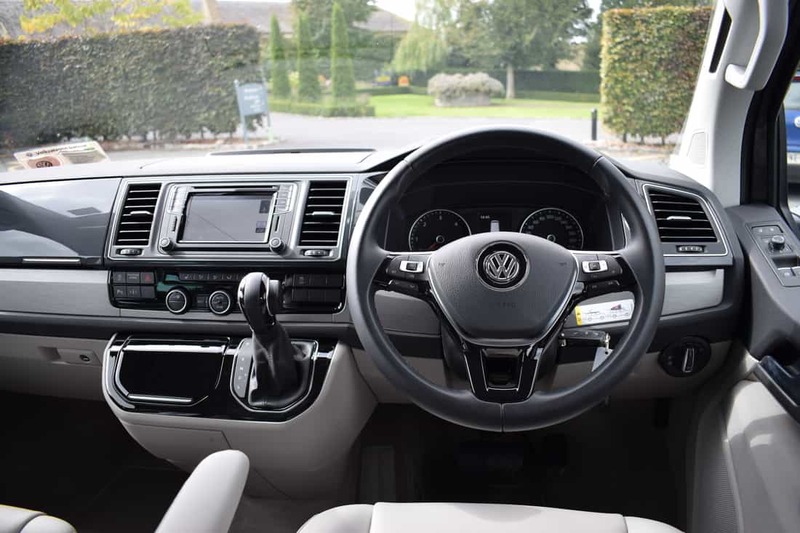 The state-of-the-art engine in the Volkswagen California is available in a choice of three power outputs – 102bhp, 150bhp and 204bhp, while transmission options consist of a six-speed manual or a 7-speed DSG Automatic. 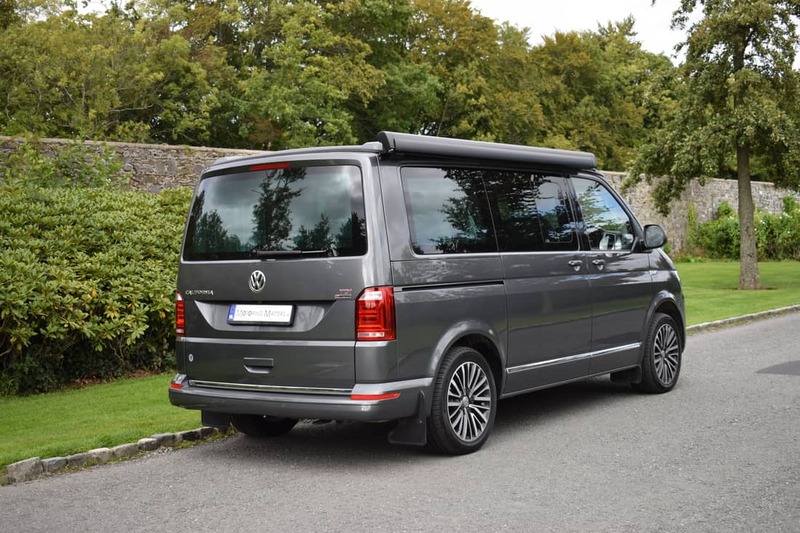 Standard rate annual road tax is just €102 across the entire VW California range – as is the case with all camper vans. 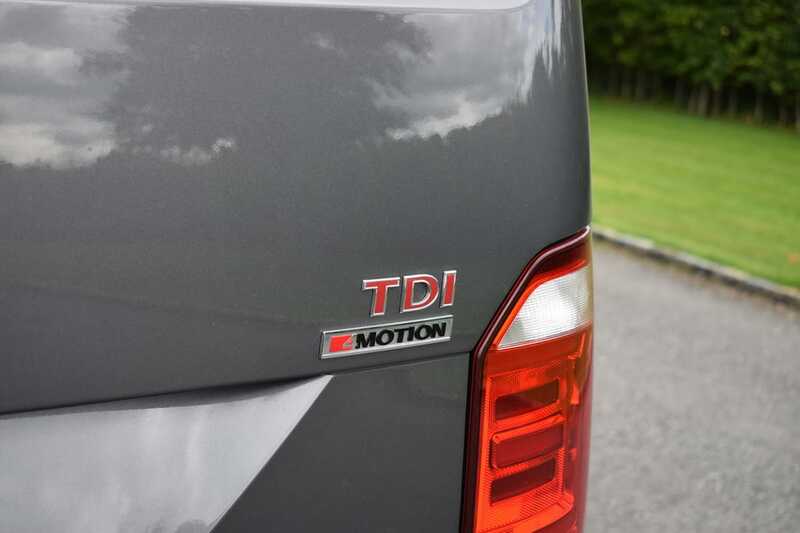 My test vehicle was a VW California ‘Ocean’ 4Motion (Four Wheel-Drive) model fitted with a 2.0-litre Bi-TDI (twin turbo diesel) engine producing 204bhp mated to a wonderful DSG 7-speed automatic gearbox for pure driving pleasure. On the road, I found the California to be outstandingly composed on a combination of road surfaces. Driving dynamics are excellent, while the big VW feels very much car-like in all the crucial areas. 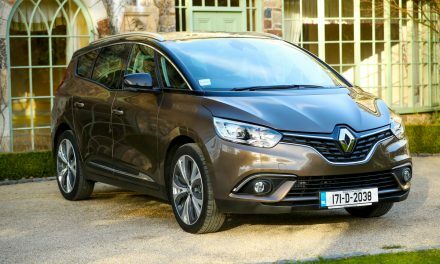 The 204bhp engine fitted to my test car provided terrific forward motion, with the 0-100km/h sprint achievable in just 11-seconds. 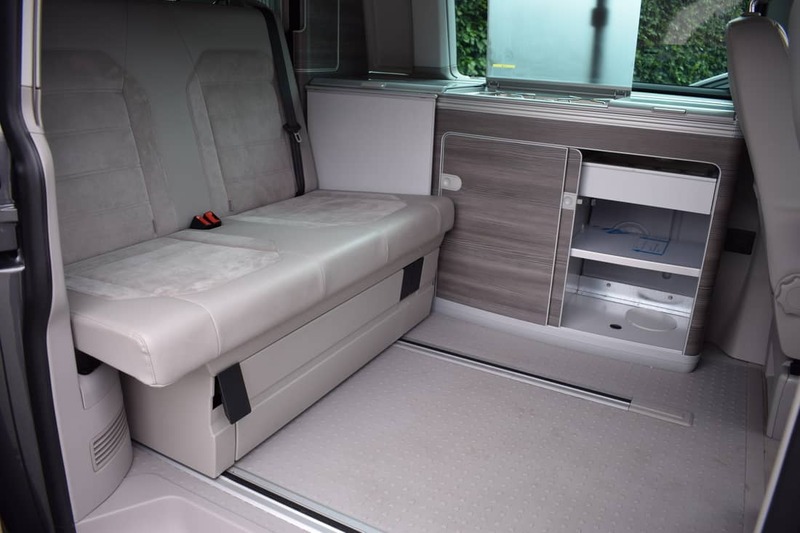 Cabin quality in the California is second to none, with top-class materials used – giving the impression that this is a camper van that will last the test of time exceptionally well. 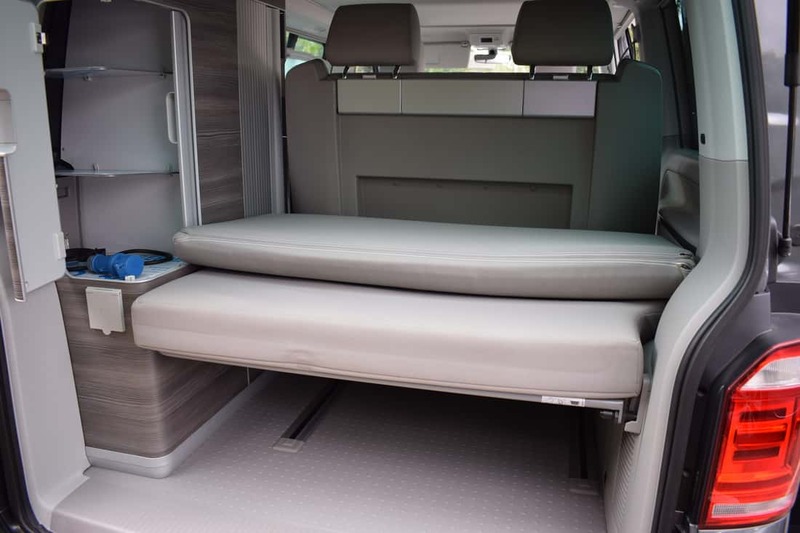 Overall, the VW California is full to the brim with ingenious space-saving solutions and creative design features. 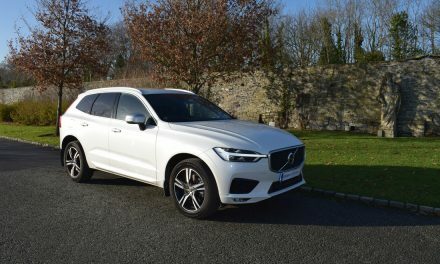 All the controls in the California are really easy to use: the roof can be popped up and the rear bench turned into a double bed in no time at all, which is especially appealing in a wet, dark field in the middle of the night. 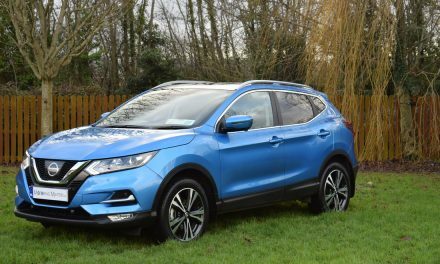 The elevating roof is in lightweight aluminium and goes up and down electrically, and keeps the on-the-road height to 1.99m, thereby allowing it to safely enter and exit the vast majority of car parks. An overhead control unit operates and monitors the roof, fridge and diesel-fuelled heating system, with the bonus of providing a programming feature for the heater. 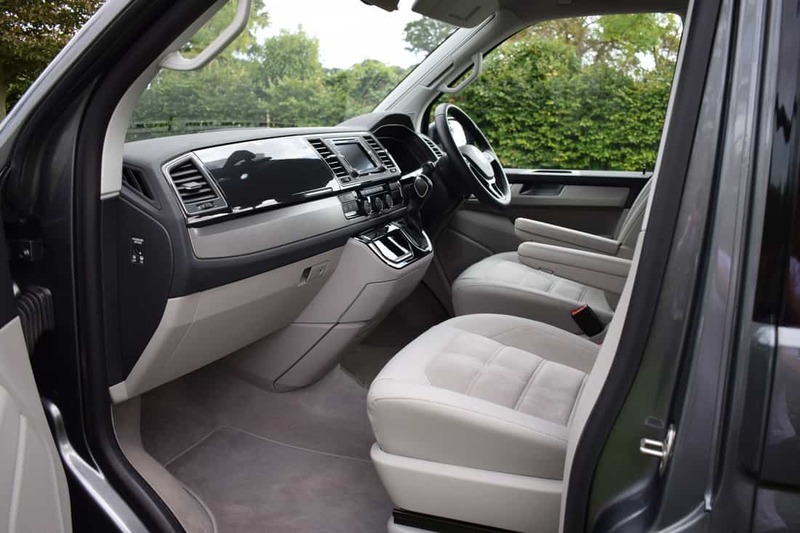 Standard specification in range-topping ‘Ocean’ trim includes 2 front swivel seats with armrests, body coloured bumpers, door mirrors and handles, 17” ‘Devonport’ alloy wheels, electric power latching for the sliding door and tailgate, leather multi-function steering wheel, ‘Valley’ upholstery, clear glass halogen headlamps, auto lights & wipers, heat insulating glass in the passenger area, front fog lights with a cornering function, electrically operated pop-up roof, multi-function ‘Premium’ display with driver alert system, climatronic air-conditioning in cab with a second heater in the passenger compartment, electronic stability control, alarm, cruise control, Bluetooth, ‘Waeco’ refrigerator, cupboards in dark wood, drawers with a cutlery tray, dressers with mirror and storage, kitchen cabinet with a sink/stove combination, carpet floor covering in cab and two blackout blinds for the front with magnetic curtains for the side. For convenience, 2 deck chairs are located in a zipped compartment on the tailgate door. Optional extras fitted to my test vehicle included front & rear parking sensors with rear assist, LED headlamps and rear lamps, Alcantara seat covering, 18” ‘Palmerstown’ alloy wheels, chrome package, navigation system, bed extension mat, wireless internet access, awning (black in colour) and acoustic laminated glass in the cab with darkened insulating glass in the passenger compartment. 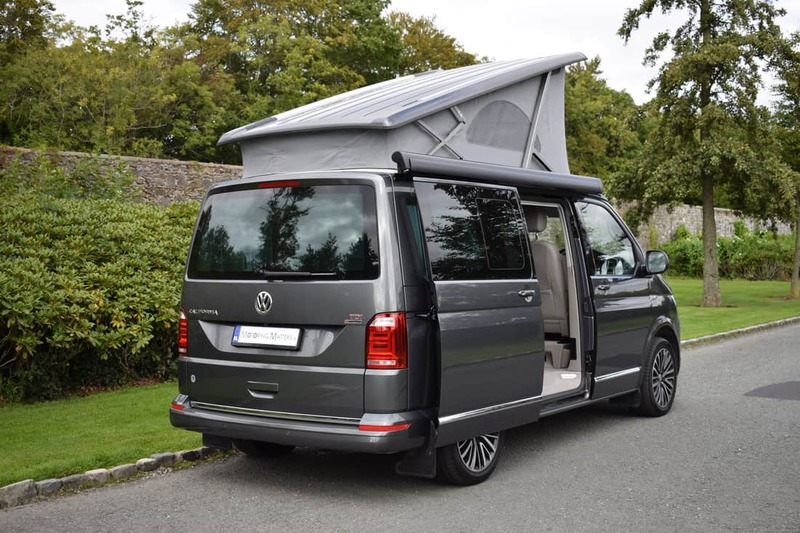 With a hugely impressive list of optional extras available, it is easy to create a VW California that truly reflects the demands of the modern-day, camper van family. 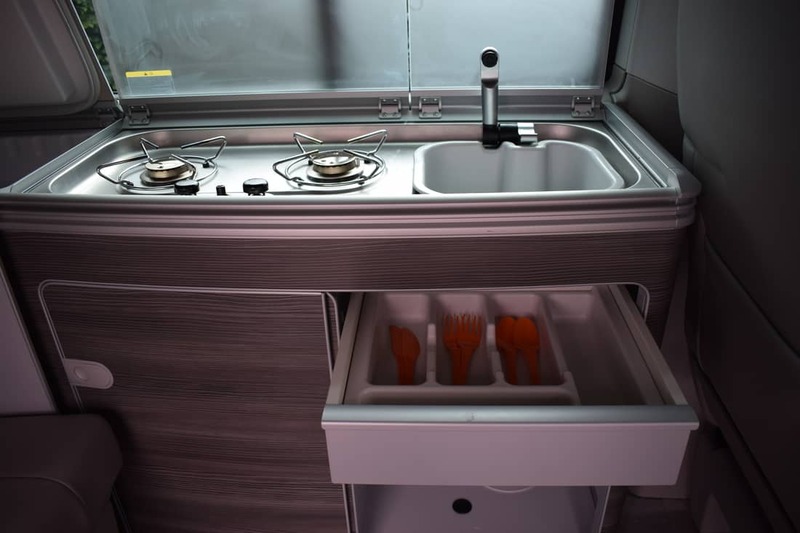 In the rear of my test vehicle was a 2-burner hob with piezo ignition next to the stainless steel sink with removable washing-up bowl. Both feature a glass cover for safety and there is plenty of space under the combined cooker/sink unit for kitchen utensils and crockery. Both sliding doors can also be opened when the seat/sleeping surface is pulled forward. An exterior connection from the existing fresh water tank is provided at the rear of the vehicle. The separately stowed shower attachment can, for example, be used to clean leisure equipment. With a 4-berth sleeping capacity (2 up and 2 down) and 4 comfortable seats (3 + driver), this 5 metre long vehicle really does impress. 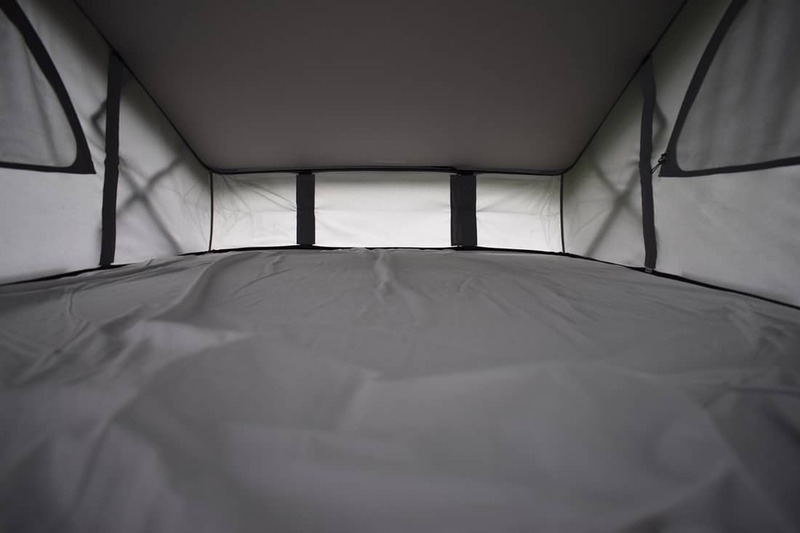 Two LED lights on the inside of the tailgate provide more light in the living compartment when it’s dark outside. When the tailgate is open, the luggage area and the area behind the tailgate is illuminated to facilitate loading and unloading. The LED lights in the elevating roof and tailgate provide excellent illumination and are operated by easy‑to‑reach switches. 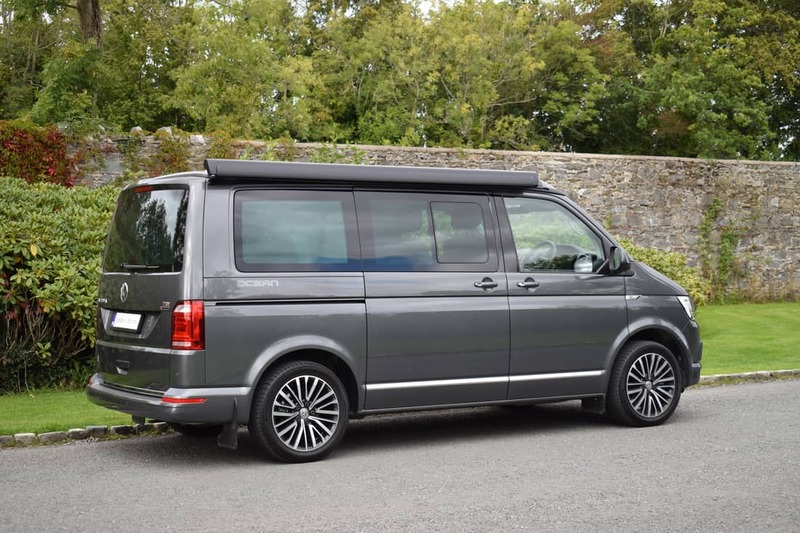 Ex-works prices for the new Volkswagen California range start at €51,935 in ‘Coast’ specification, while top-spec ‘Ocean’ models are available from €62,030. 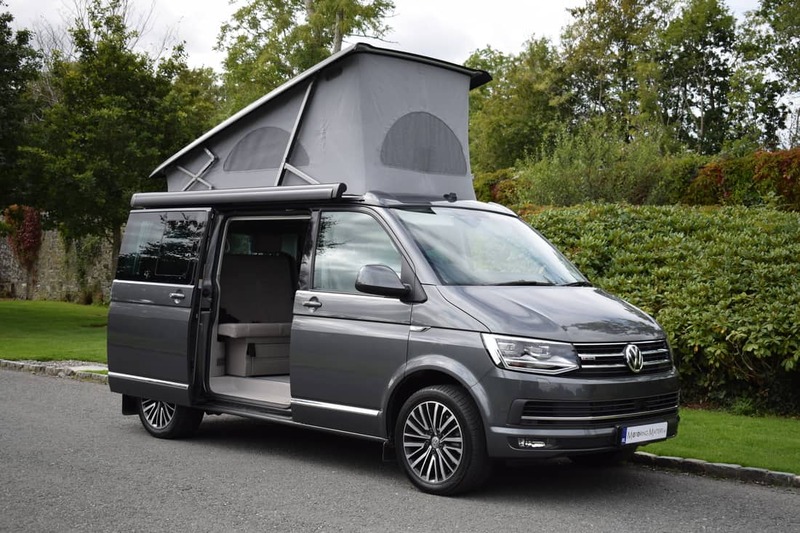 Fun-loving couples and families who want a well-designed, flexible and multi-purpose camper van which can be used on a daily basis will certainly be attracted to VW’s latest icon. Visit www.volkswagen.ie for further information.